Linnea is going to France! The little girl will travel with her neighbor, old Mr. Bloom, to visit the house and garden where the great artist Monet lived. She can't wait to see the waterlily pond-the scene of her favorite painting. Join Linnea and Mr. Bloom on a journey full of wonderful sights and adventures. They begin their days in France at a Paris museum, where they see Monet's paintings. Taking the train to Giverny, where the artist lived, they spend hours in the colorful garden. And Linnea finally walks across the Japanese bridge at the pond that shimmers in so many of Monet's works. 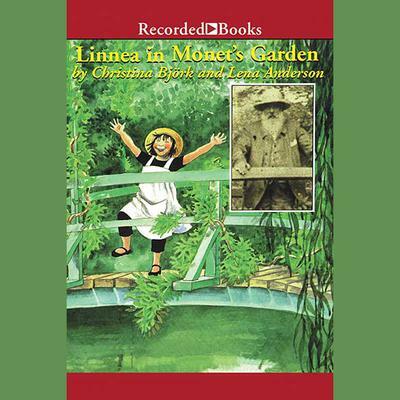 An international best-seller, Linnea in Monet's Garden is a joyous introduction to Impressionism and the life of one of the most influential artists of this century. Although written for young readers, listeners of all ages will enjoy this delightful audio production, lyrically narrated by Christina Moore.